Over the last several decades, both delay of childbearing and fertility problems have become increasingly common among women in developed countries. At the same time, technological changes have made many more options available to individuals experiencing fertility problems. However, these technologies are expensive, and only 25% of health insurance plans in the United States cover infertility treatment. As a result of these high costs, legislation has been passed in 15 states that mandates insurance coverage of infertility treatment in private insurance plans. In this article, we examine whether mandated insurance coverage for infertility treatment affects utilization. 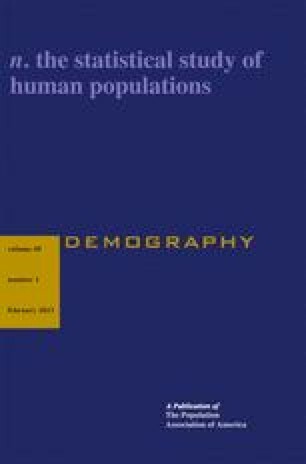 We allow utilization effects to differ by age and education, since previous research suggests that older, more-educated women should be more likely to be directly affected by the mandates than younger women and less-educated women, both because they are at higher risk of fertility problems and because they are more likely to have private health insurance, which is subject to the mandate. We find robust evidence that the mandates do have a significant effect on utilization for older, more-educated women that is larger than the effects found for other groups. These effects are largest for the use of ovulation-inducing drugs and artificial insemination. The online version of this article (doi: 10.1007/s13524-011-0078-4) contains supplementary material, which is available to authorized users. Bitler gratefully acknowledges financial support from the National Institute of Child Health and Human Development (NICHD) (R03 HD046485). Schmidt gratefully acknowledges financial support from NICHD (R03 HD047544). All errors or omissions are our own. We thank Tom Buchmueller, Kitt Carpenter, Stacy Dickert-Conlin, Tracy Gordon, Steven Haider, Mireille Jacobson, Darius Lakdawalla, Kenneth Land, Purvi Sevak, Kosali Simon, two anonymous referees and seminar participants at Michigan State University and the Center for Studies in Demography and Ecology at the University of Washington for helpful comments, and Chris Rogers and Anjani Chandra for their generous assistance with the NSFG data.